Onda is not just a shipyard. Onda is a lifestyle. It’s a philosophy that encompasses our most deeply rooted principles on design harmony and yachtmanship. When the first Onda was built in 1962, it set new levels of excellence in seakeeping and style. The Onda, Superonda and Magna marked their era with significant presence in both the pleasure and international military markets. 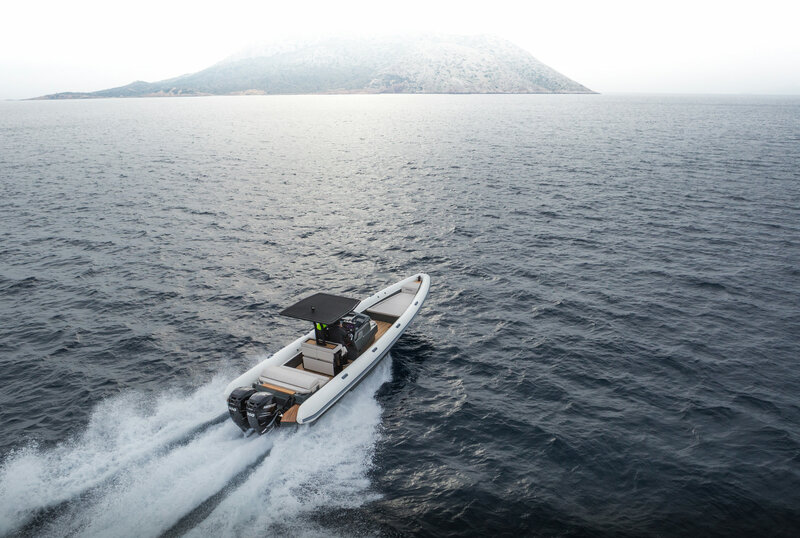 We represent the citizen of the world; the refined yachtsman that values our principles and identifies the design qualities embodied in our boats. As we introduce Onda to the world, we feel confident that together we have a great chance of building products that will become part of your heritage. And ours. Entirely composite construction under a controlled temperature & humidity environment / Hi-quality CNC moulds / Continuous ultrasonic lamination quality control / Personnel with over 30 year experience in lamination and boat construction / Supplier to the Hellenic Coast Guard & Armed Forces / Familiarisation with class compliance / Full material traceability / Exclusively EU supplied materials / Limited lifetime warranty / Design by Ted & Ocke Mannerfelt.